Never before available, the unexpurgated last interview with James Baldwin "I was not born to be what someone said I was. I was not born to be defined by someone else, but by myself, and myself only." When, in the fall of 1987, the poet Quincy Troupe traveled to the south of France to interview James Baldwin, Baldwin's brother David told him to ask Baldwin about everything--Baldwin was critically ill and David knew that this might be the writer's last chance to speak at length about his life and work. The result is one of the most eloquent and revelatory interviews of Baldwin's career, a conversation that ranges widely over such topics as his childhood in Harlem, his close friendship with Miles Davis, his relationship with writers like Toni Morrison and Richard Wright, his years in France, and his ever-incisive thoughts on the history of race relations and the African-American experience. Also collected here are significant interviews from other moments in Baldwin's life, including an in-depth interview conducted by Studs Terkel shortly after the publication of Nobody Knows My Name. These interviews showcase, above all, Baldwin's fearlessness and integrity as a writer, thinker, and individual, as well as the profound struggles he faced along the way. "If you're hoping to find holiday reading that is as educational as it is entertaining, look no further than [this] new book of discussions with legendary intellectual James Baldwin." --Flavorwire "Of particular interest to those who seek to better understand Baldwin's biography and his complex and often contradictory legacy as a trailblazing figure in gay literary history." 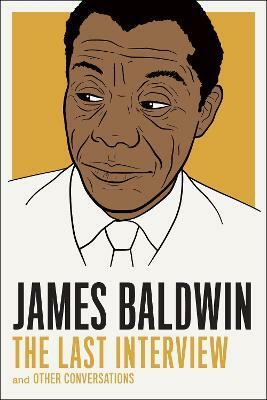 --Lambda Literary "One of many reminders that Baldwin's observations on race, sexuality, and society remain relevant -- and that the voice in which he made them remains one of the most compelling in all of American letters." --Biographile "The great James Baldwin has his turn in the also great series from Melville House." "Jimmy Baldwin was the creator of contemporary American speech even before Americans could dig that." "I am completely indebted to Jimmy Baldwin's prose. It liberated me as a writer." "Baldwin's way of seeing, his clarity, precision, and eloquence are unique . . . He manages to be concrete, particular . . . yet also transcendent, arching above the immediacy of an occasion or crisis. He speaks as great black gospel music speaks, through metaphor, parable, rhythm." "[Baldwin is] among the most penetrating and perceptive of American thinkers." --The New Republic From the eBook edition. JAMES BALDWIN (1922-1987) was a novelist, essayist, and activist. He is best known for the novels Go Tell It on the Mountain (1953) and Giovanni's Room (1956), and the collections Nobody Knows My Name (1961) and The Fire Next Time (1963). He was an important figure in the civil rights movement, and his books addressing the African-American and gay experiences have influenced generations of writers.